Let's talk about Aortic Rings in Green Park in South Korea. 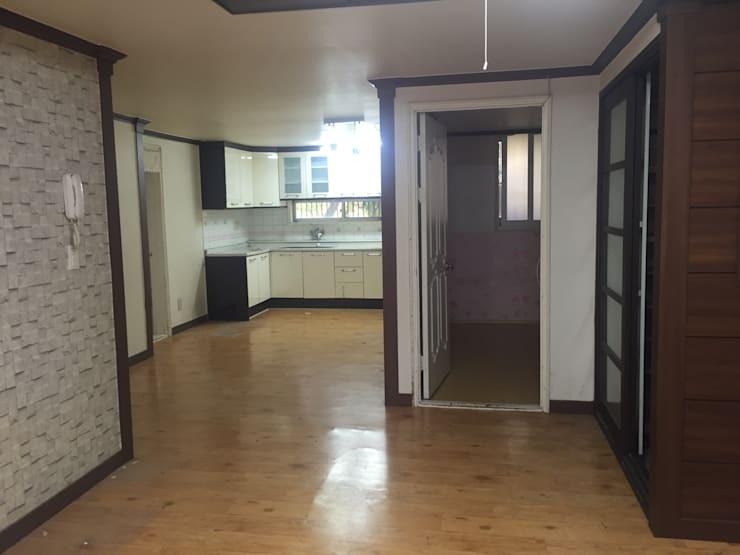 The old apartment has a fresh lease of life after Design Seven, a group of designers from Changwon in South Korea took the task of undertaking a facelift. The restoration project has created an amazing effect; it is hard to believe that with a few simple additions and renovations, an old house can look as good as new. 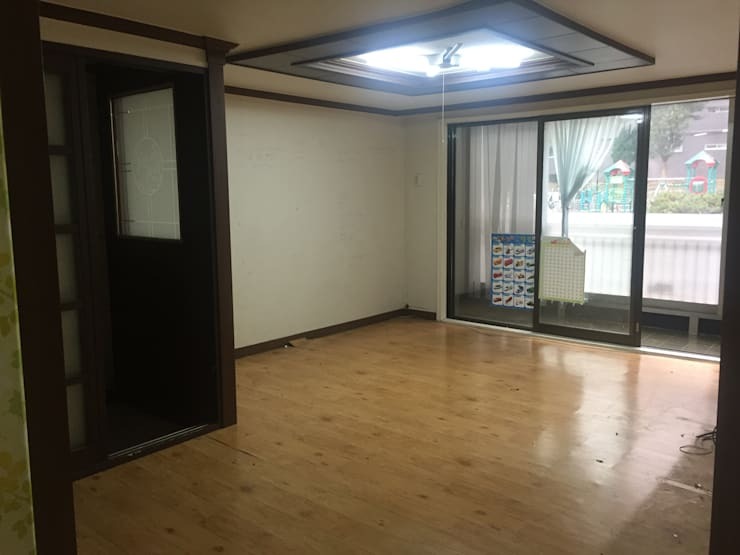 This trend of restoring the old place is quite popular in South Korea, as this is one of the most budget-friendly ways of creating a fresh look for your old home. Let’s take a look at this interesting restoration project, which will give you ideas to reinvent your old home and turn it into a brand new one. The first thing that you notice about the kitchen is that it looks shabby. Although the wooden floor provides some saving grace, it cannot overcome the worn-out look of this space. If you look at the color theme, you are bound to notice that nothing is coordinated which gives the space a haphazard feel; as if nothing has been planned before setting up the kitchen. The lights are insufficient, and the overall look of the room is neither sunny nor inspiring. Some marked improvements are instantly visible as you take a first glance of the new kitchen. The hanging lights keep this space illuminated. The wooden floor which in the old kitchen seemed a little out of space has been replaced by wooden-feel tiles. And the walls have got a fresh look with crimson ceramic tiles which also complement the floor. Unlike the old kitchen, the new one seemed to strike a balance. As for the main kitchen space, the shelves and cupboards stick to the black palette and provide a lovely contrast to the white walls and the white cupboards at the top. 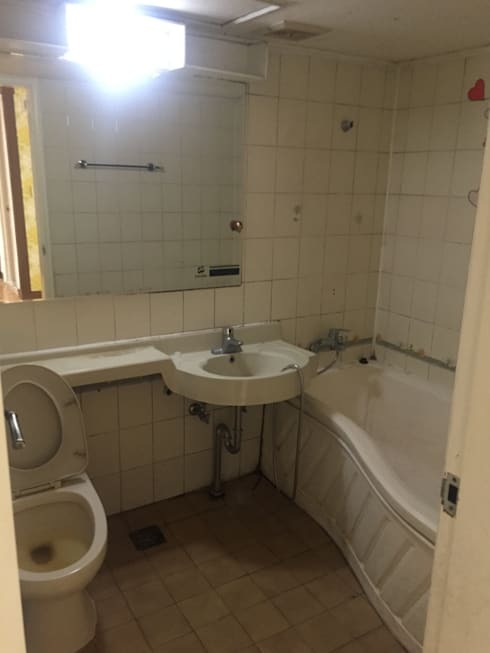 This bathroom certainly does not make a positive impact. From the drab white tiles to an unplanned design, to lack of storage space; everything in the bathroom cries for change. It is hard to believe a bathroom can have such a shabby mirror! And if you look closely at the lights, the bright light concentrated on one space does not really help much in the overall illumination. Plus, the space limitation of this bathroom has not been addressed at all. It seems as if the entire space has been arranged and designed with utter disinterest, with no thoughts spared for the liking of the user. A huge bathtub in a small bathroom seems such a waste of space. 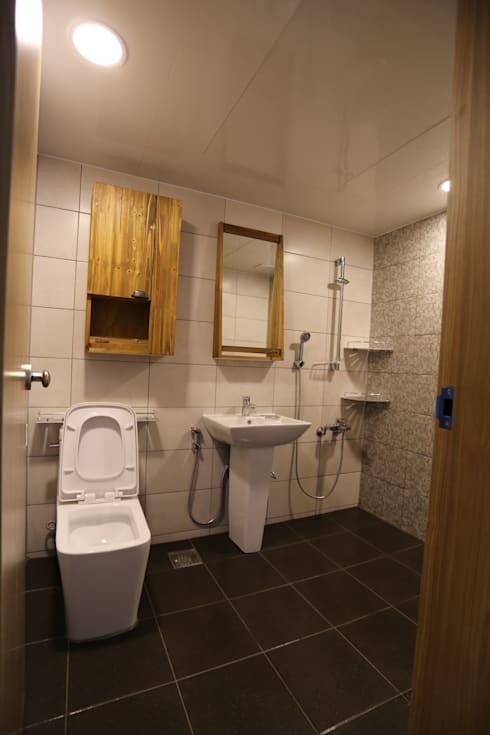 You will not believe the power of transformation until you see this bathroom! 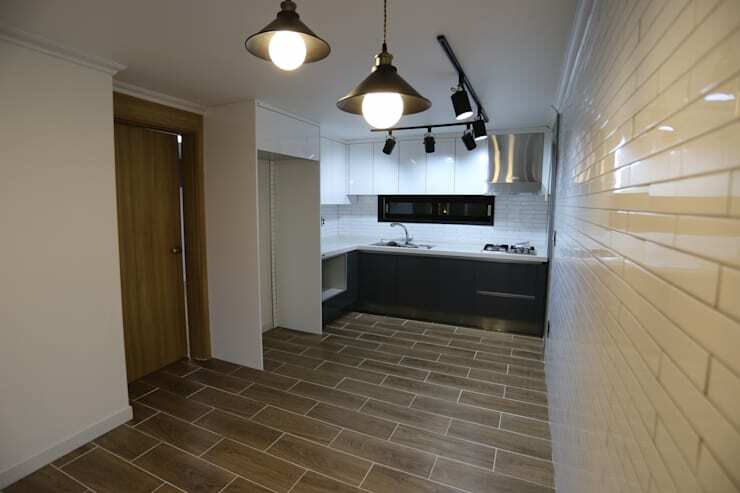 The mundane white tiles have been replaced by an assortment of tiles: greyish black for the floor, crimson for one wall and soft designer tiles for the other. The bathtub which looked like a forceful inclusion in the old bathroom has been removed, and the shower space is now designated by the clever installation of taps and hand showers. Both the pot and the basin have undergone a change; and the new sleek designs totally complement with the new look. Instead of a boring mirror which really reminded you of a gas station bathroom, one can see the lovely mirror with a wooden frame. This frame complements the wooden cabinet of the bathroom. The corner shelves and the racks behind the pot are worthy additions as now the user will not have to think of keeping their towels, shampoos and soaps. There is probably one word which defines this space best; uninspiring. This is a fairly large space for a living area, but apart from the wooden floor nothing really looks chic. The dark wood frames of the doors and windows look very oppressive. It seems as if the whole space is confined within a wooden frame, and there is hardly any sense of uninterrupted flow which is common in modern designs. The only saving grace is probably the sliding doors which lead to the balcony. Like all the other rooms, the theory of concentrating lights in a single area remains intact in the living area as well. 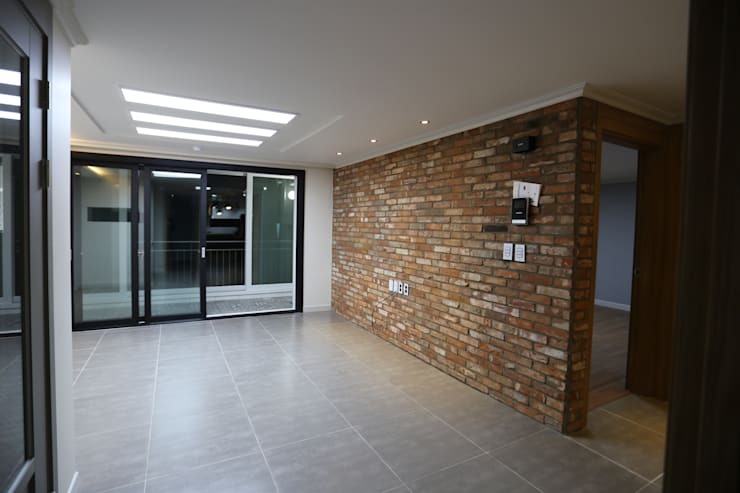 The designers understand the concept of variation; a feature wall with a rustic brick theme is clearly the highlight of the area. The boring place has been transformed into something interesting; the floor has undergone a makeover with greyish tiles dominating the space. The colour contrast is quite interesting and this nice diversion will also help you while you choose your furniture. You can have a mix of colourful and soft shades while you choose the chairs and cushions. The oppressive wooden frame is gone; instead the designers have opted for a simple yet chic metal frame for the door. And it is good to see that a series of concealed lights have replaced the old lights making the space brighter and shinier. The new home inspires positivity which was lacking in the old design. The amazing makeover simply endorses the fact, that even a few simple changes can create a larger-than-life effect on your so-called boring mundane home! For another inspirational transformation, this time in rural Spain, check out The House With Two Lives ideabook. Which room transformation here inspired you the most? How have you improved your own home layout? Let us know in the comments!